Atari style joystick/controller. Implemented by many 8bit systems such as: Atari, Commodore, Sega Master System... 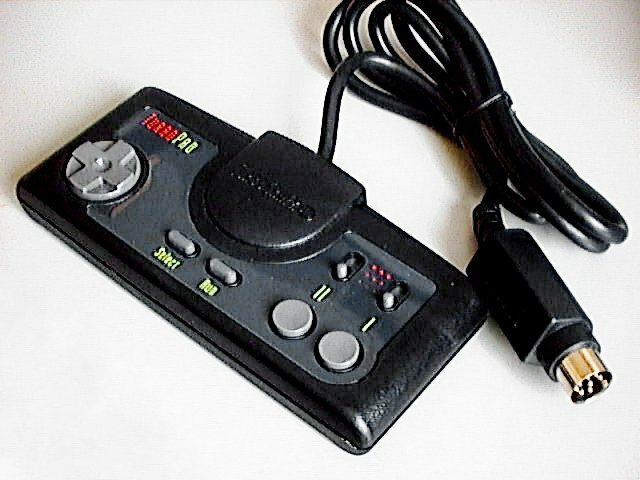 Typically, those joysticks have a DB9 connector. The software implements a standard USB HID (Human input device) device so it is directly supported by most operating systems without installing special drivers. Perfect for playing old games with emulators. Works great with other games too! The circuit is small enough to fit inside an heat shrink tubing or pvc pipe. It's even possible to fit the circuit directly inside an original controller. 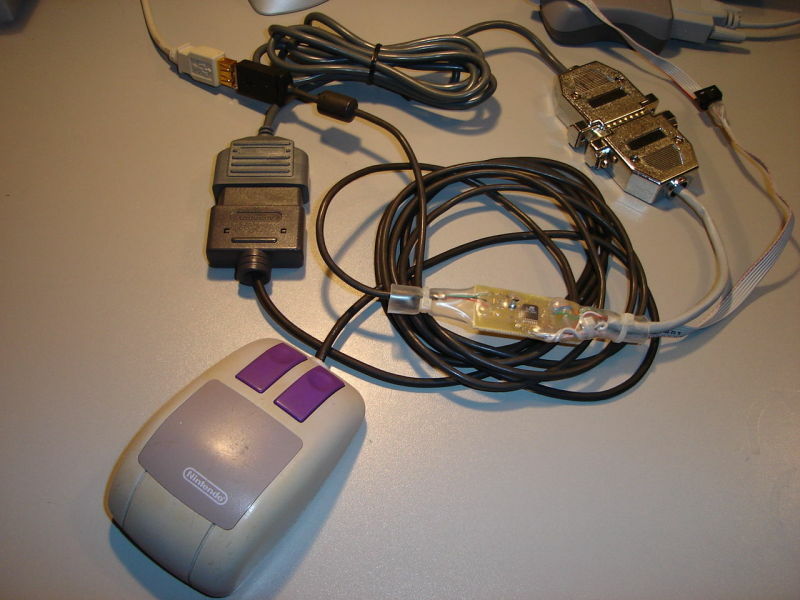 If you feel that you may be able to build this yourself, all the information you need is on my snes/nes to usb , atari to usb and tgfx16/pc-engine to usb project pages. This product can convert only 1 controller or 1 Genesis multi-tap. See also the 4nes4snes adapter circuit.